5.1 How Much Power Does a Gaming Computer Use? 5.2 What Wattage Power Supply is Right for My Gaming Computer? 5.3 What is 80+ Certification? 5.4 What Does “Modular Power Supply” Mean? Gaming is a pastime that continues to grow in popularity. 155 million U.S. citizens play video games on a regular basis (meaning a few hours each week, or more) and most households have some type of gaming console in them. Dedicating this much time to your hobby means that a quality setup is a must. Your PSU has a lot to do with the overall reliability of your machine, depending on how well it performs. For this reason, you must be careful when you choose which one you’ll use. A quality PSU must come with protection features to protect and save your components, and the machine itself, in case something goes amiss. This is a serious investment, so we’re here to make the choice easier for you. The power supplies below are from top-rated brands and will be covered in terms of watts, from 400-500 watts to 1000 watts plus. Each of them will be covered in more detail later on in the article. Any of the above power supply units would be a great choice, but how are you to know which fits your needs the best? We will cover some of the important indications for choosing a gaming power supply first and then cover each of the models above in greater detail. Manufacturers typically list the output of their PSUs in watts and a higher watt power supply can give more strength to your unit. Desktop PSUs typically have an output rating between 200 and 1800 watts (for enthusiastic-class, high-end products) and ensure you get the best power supply for the money you put in. Ratings that are higher than this would typically exceed the capacity of your average 15-ampere outlet. The number you should pay attention to here is the number for continuous or sustained power, rather than the number of peak levels of power. Keep in mind that the majority of PSUs can only operate at this peak level for brief periods. Ideally, you will have a unit that offers you enough power for your components while also offering some headroom for attaching extra components at a later date. Most PSUs will hit their peak levels of efficiency with leads in the 40 to 80 percent range. Building up to between 50 and 60 percent of the power supply’s capacity is advised to reach the highest efficiency while leaving enough room for expansion in the future. For instance, if the TDP or maximum power of your PSU’s current components equals 300 watts, you would do well choosing a 600-watt power supply. But in a higher-end machine full of components that could peak together at 700 watts, you would do well to choose a 1200-watt power supply. You will be okay with units with a lower-capacity if you think you won’t want to expand the unit. If it’s within your budget, picking a higher-capacity option will be better for ending up with the best modular power supply possible. 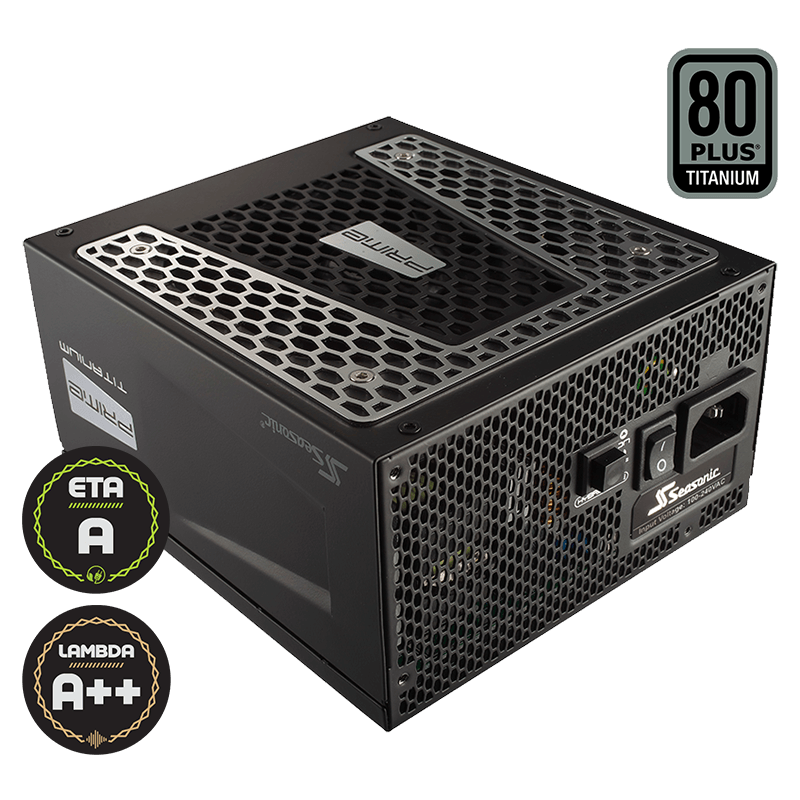 80 PLUS Gold Certified: The Corsair SF Series SF 450, SFX Form Factor 450 Watt offers lower operating cost, less excess heat, and a higher efficiency operation all around. A Quiet Unit: The SF Series PSU brings reliable Corsair quality to the small form SFX standard. The ZERO RPM mode on this model gives a basically silent operation at medium and low loads, and superior regulation in terms of voltage. Fully Modular: Going with a fully modular option makes your upgrades and builds much easier, leading to great-looking, cleaner results. Smaller than Others: Due to this unit’s size, working with a mini ITX is fantastic. You can use it in an Elite 130 by Cooler Master, which can support larger ATX PSUs, but a smaller PSU helps you get CPU cooler clearance in addition to making cable management easier. Short Cables: The cables on this model are short, which works well for a compact ITX case but are too short for newer ITX cases with water cooling. The cables are also hard to train and work with due to their stiffness.If you plan to use this with a bigger ITX case, plan to definitely spend some extra money on the cables. In addition to being tough to manage due to stiffness, the unit doesn’t come with included a 6+2 connector included. You can fix this by ordering cables additionally. No Bracket Included: Some users may have to buy a PSU bracket to use this in the place of an ATX PSU. Ideally, the power supply would already come with it, but it doesn’t. For those seeking the best 500w power supply, of the best gaming power supply between 500 and 650 watts, the Corsair SF Series SF450, SFX Form Factor should do the trick. We will cover the best 650w PSU next, but first, let’s cover the best 450-watt option. The SFX Factor offers high-quality performance with a small form factor. This 100 percent Japanese model has 105 electrolytic capacitors, and its premium inner-components offer solid delivery of power along with reliability over the long-term. In addition, you can buy this model with confidence due to their seven-year warranty, which guarantees reliable operation across multiple system builds. Again, keep in mind that the included modular cables on this power supply are hard to maneuver with the small case and can be replaced with a new set. New cables will make a big difference with the case of this unit. Clean Power: The incredible micro-tolerance technology for load regulation on the Seasonic 650W ATX12V ensures that clean power is being produced at all times. Cable-Free Connection: This model allows for a connection design that is cable-free, increasing the efficiency and convenience of hooking up and using the machine. Longer Hold-up Time: If there’s ever an issue with the input AC power on the machine, this PSU’s prolonged time for Hold-up allows for enough of a buffer to both prevent system instabilities and to store essential data in the case of power outages or shortages. Fan Control: The latest design for fan control from Seasonic allows the machine to work in a fan-less mode for up to over 40 percent of the overall system load. This will make gamers happy who have been wanting a quieter PSU for everyday use. Improved layout for rear IO: With this model, you will get an improved layout for the IO rear area of the unit. When you use modern style ATX cases with the fan pointing up and the PSU on the bottom, you will find that the motherboard connectors face closer to the wall on the inside.This new and improved design makes connecting the EPS-12V and ATX connector, along with the 24-pin ATX a lot easier and cleaner than prior designs by Seasonic. In addition, it gives you a few more inches of slack to route the cables behind your motherboard tray and a better method for connecting PCI-E connectors. Clearly Marked Connector Sections: With this model, each connector section is marked clearly, so you no longer have to guess which jack goes with what. The hybrid mode switch for controlling the fan is now near the IEC cable in the back, so it’s easier to switch between the passive and active mode without taking the side panel off.A lot of gamers will find this design more user-friendly and convenient. No Sleeves on Cables: Some may find it inconvenient that the cables don’t come with sleeves on them, with the exception of the 24 pin. Some may find it a pro, however, since they are flat pack and won’t take up much space. An efficient gaming experience is a must for extending the life of your units and for improving your overall technique. The Seasonic 650W 80 PLUS Titanium ATX12V Power Supply has an extended hold-up time of 30 MS and very low ripple noise (at 20 mv). As stated in the name, it’s 80 PLUS certified (Titanium tier). Let’s look at some of its other noteworthy features. This PSU is made with high-quality components and has a design that allows for plenty of airflow while being so quiet that you won’t hear it over the water cooler on your CPU. In addition, it comes with a wide selection of different cables for every situation and then some. The large warranty put on this unit shows you how confident the manufacturer is with it. Protections: The EVGA SuperNOVA 850 T2 has heavy-duty protections, such as under voltage protection (UVP), over voltage protection (OVP), over power protection (OPP), over temperature protection (OTP), and short-circuit protection (SCP). Trustworthy Craftsmanship: EVGA delivers a great warranty and high-quality products, so you never have to worry about issues with your power supply. If you plan to add on some more components down the road, this PSU will give you more than enough power for that. Easy Installation: Whether you go for the EVGA SuperNOVA 850 T2 or a 750w, you will be getting your money’s worth. Along with the high performance of the products, they are also easy to install. 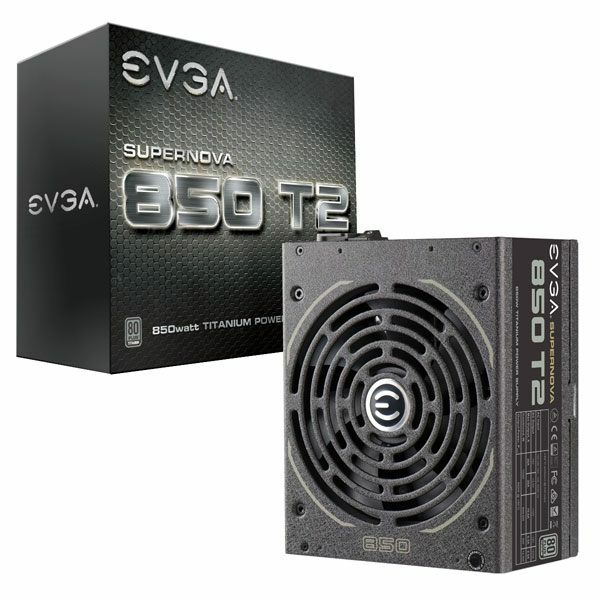 No Fan Noise with Low Loads: The EVGA SuperNOVA T2 has unmatched performance and efficiency. The unit has an incredible 94+ efficiency combined with ECO mode to give absolutely no fan noise while running medium or low load operations. Stability: This PSU is one of the best available on the market today, especially in terms of heavy PSUs. It offers premium components, rock solid durability and stability, and top-tier efficiency. With its 100 percent Japanese designed capacitor, you can’t beat this PSU’s performance. Comes with Many Cables: This PSU not only works great but comes with many different cables for every occasion. It also powers a 5x R9 290 Mining Rig with ease, even while overclocked at a level of 1150 MHz core. Easy to Install: When you unplug your old power supply and go to put this one in, it will only require a few minutes of installation. In the case of any damage due to intense condensation or high humidity (accidents happen), this PSU will save your PC components, working as it should and taking the fall. Doesn’t come with Thumb Screws: Although this is a minor inconvenience, it would be more ideal to have the unit come with thumb screws, considering the price. In addition, the unit’s screw holes have been threaded for a size that is smaller than the default size for the majority of cases. Stiff and Inflexible Cables: Each of the cables on this unit is individually sleeved, making them quite rigid. When it comes to making tight bends, you might have some difficulty. Sleeved cables are convenient for cables that need to stay straight, but cables that need to bend will not function optimally. Must Remount Drives to use Cables: For those who have their drives mounted in the middle of the case to place fans in front for cool air pulling, you will have to remount the drives to use the cables supplied, putting them in front. The EVGA SuperNOVA 850 T2 offers unrivaled EVGA customer support along with a 10-year warranty. This 80 PLUS unit is Titanium certified and has 96 percent 220VAC to 240 VAC, 94 percent 115VAC efficiency or better during typical loads. It has a fan bearing and size of 140mm with double ball bearing. Compliance: This unit works with SSI EPS 2.92 12V standards and Intel ATX 12V 2.31 standards and comes with a five-year warranty. The model saves power with its high-efficiency rating of up to 90 percent. Semi-Modular: This unit has a semi-modular design and black flat, low profile cables to enhance airflow while improving the chassis and its thermal performance. Flat cables offer more flexibility, so routing the cables will be easier.Using the highest quality components, this PSU delivers unbeatable efficiency and stable performance. The capacitor is Japanese and produces the best operation, working reliably even over extended periods of use. 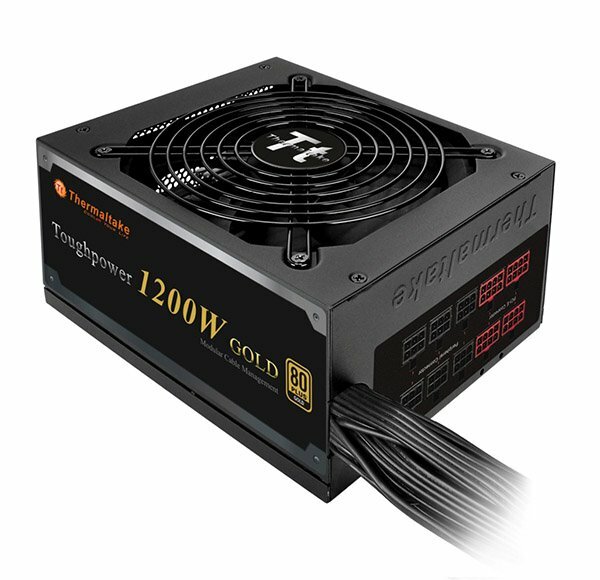 Smart Fan: The Thermaltake Toughpower 1200W 80+ Gold Semi Modular ATX 12V has a super quiet, intelligent RPM, 135mm fan that utilizes smart fan control, working silently to deliver a superior cooling function.Along with being extra quiet, the fan has 12V rail flexibility, which routes all maximum power available to your computer, enabling peak CPU performance for your whole system. Carrying Case: Along with supplying the power you need and being an exceptionally great product from a proven brand, this unit comes with a nice Velcro carrying cause to hold the extra wires you aren’t using at the moment. In addition, this is all packed into microfiber material bags and offers a very luxurious feel. Could Have Sleeves: This unit would be improved if it came with group sleeves or individual sleeves. This is just a minor annoyance that can be easily fixed but is an inconvenience nonetheless. Choosing a power supply for gaming that is over 1000 watts just for the sake of doing so is not necessarily a wise or solid investment choice. Most PC gamers don’t require this much power. You may want to invest in your gaming for tomorrow, but a quality 1,000 watt plus power supply is going to be costly. Keep in mind that a quality 1,000w choice will cost you more right now that it will to purchase a power supply designed for enough output to cover your PC, and another one later for a new computer. In addition, PSUs will wear out as time goes on and you can’t guarantee that your power supply is going to last the life of both systems. However, if you know you’re looking for something 1,000+ watts, read on to find the best choice. The Thermaltake Toughpower 1200W 80+ Gold Semi Modular ATX 12V gives 90 percent efficiency when operating with a typical load and comes with 105 to 221-degree Japanese capacitors of high quality. There are endless reasons to choose an efficient PSU to save some energy. There is the social responsibility we have to our planet. But even if that’s not a concern of yours, choosing an energy-efficient power supply is going to save you some hard-earned cash over the long run. Manufacturers don’t create their PSUs with the expectation that you will be pulling full power capabilities from them. Rather, they assume that you will use about 50 percent load to get a higher efficiency. In these reviews, however, you should expect that the PSUs reviewed are capable of delivering what they label their power as. If a unit claims to offer 600 watts, you want to get 600 watts from it, if desired. This is what the best power supply brand will give you. One disadvantage to this way of doing things is the cost of units with higher wattage. However, in the long run, you save money, will have a cooler running computer, and you won’t sacrifice stability when you want to game for hours at a time. The best PSU brand will differ by user, but here are some of our favorites. EVGA is a USA-based computer hardware business that offers NVIDIA GPU cards, along with Intel chipset motherboards for enthusiasts and consumers of the gaming world. They are one of the highest NVIDIA-authorized companies in North America. EVGA has a philosophy of market knowledge, intelligent innovation, and real-time operation, continually identifying marketplace needs and offering up creative solutions. Are you curious about EVGA vs. Corsair PSUs, or perhaps EVGA vs. Seasonic PSUs? Quality, of course, varies a lot between different lines of products, not only between brands. Find out more about EVGA here. Corsair was founded in ’94 and has over 20 years of experience in PC innovation and performance. The company has grown from operating within the DRAM market to becoming a world leader in providing enthusiast-level PC peripherals and components. The groundbreaking innovation and technology of Corsair are proven through their ultra-efficient PSUs, high-performance memory, CPU and PC solutions for cooling, PC cases, and solid storage devices. Under the 2014 Corsair Gaming brand, the company provides headsets, mice, mouse mats, and gaming keyboards to those who are into competitive PC games. 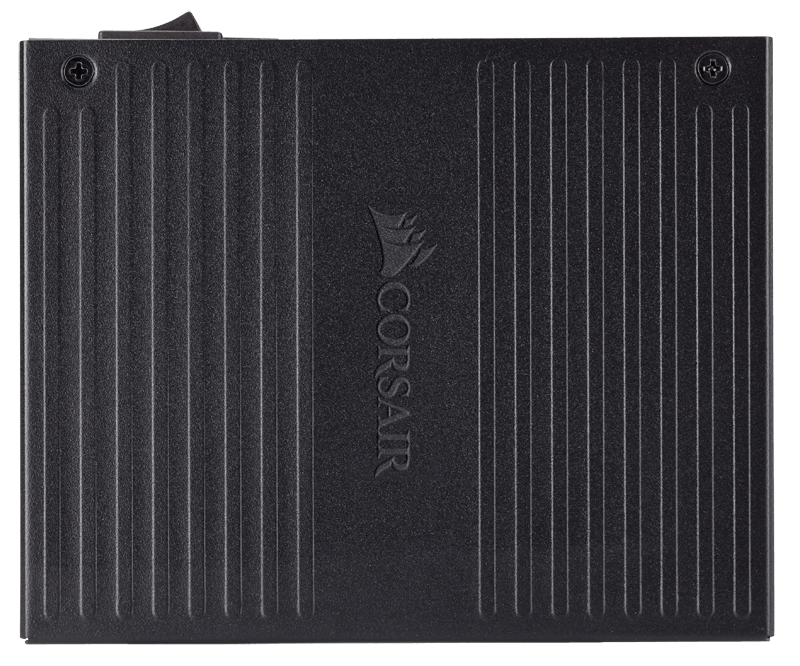 Corsair hardware is often seen in “dream systems,” and the brand name has earned respect and adulation of professional gamers, the press, overclockers, and PC gaming enthusiasts across the world by offering renowned support and leading-edge technology. Corsair now has an infrastructure with global operations and extensive distribution and marketing channels. Their products are available through retailers and distributors in more than 60 countries across the globe. Sea Sonic began over 40 years ago and was started by engineers. Since these early days, Sea Sonic has stuck to its research focus, along with the production and development of high-quality, advanced products. In the ‘80s, the company expanded to produce PSUs and proceeded to become among the best in the market. Later, they changed their main focus to producing high-quality PC power supplies. Curious about Seasonic vs. EVGA? Find out more about Seasonic here. Cooler Master is a manufacturer of computer hardware based out of Taiwan. It’s been around since 1992 and has produced personal computer components such as cooling pads, coolers, PSUs, and the computer chassis. The access the cooler master power supply calculator, click here. Thermaltake manufacturers power supplies, PC cases, peripherals, and cooling devices. Its headquarters are in Taiwan, but there are multiple facilities for manufacturing in China. The company was founded in 1999, in Taiwan, but it also has American headquarters in Southern California. One of the items on our list is a Thermaltake power supply, which will offer you a closer look at what the company is capable of, then you can get an idea of Thermaltake vs. EVGA PSUs. Rosewill, Inc, began in 2004 and has been manufacturing high-quality, reliable products for technology ever since. They started with cables, mice, keyboards, PSUs, and computer cases and have since moved on to a wider base of merchandise. Power supplies are an often overlooked and misunderstood component of PCs. Users will choose a PSU based on just wattage, believing that higher wattage always means better. Other users don’t even give their PSU selection a second thought, settling for the power supply that came along with their machine. However, considering the importance of a quality PSU in terms of the long-term stability and reliability of your machine, it’s a mystery why power supplies don’t get as much attention as SSDs or graphics cards. This fact isn’t helped by the fact that the PSU market is full of products from low-quality manufacturers that exaggerate about the machine’s capabilities and use subpar components. There is no shortage of companies that will try to fool you into choosing their products, even when those products are cheap quality. The over-abundance of power supply-related deception and misinformation might be funny if it weren’t so detrimental to you; the consumer. But discovering an efficient, solid PSU is doable if you’re equipped with the correct information. That’s what this article is here to give you. Although modular cabling does help reduce clutter, some have claimed that they create more electrical resistance. A few different third party websites that test power supplies have shown that the connector’s age, quality, and how many times it was removed or inserted, along with various other factors can raise its resistance. But the level of resistance is small when compared to the resistance created by the wire length, as long as a quality connector is being used. As if you needed an extra reason for this, always make sure that you choose a quality connector for your gaming rig. When it comes to fully modular versus semi-modular, all should have the same level of performance (if other factors are equal), so the major difference here is the cables and how much control you have over them. In a non-modular power supply, you must have every cable and are less likely to use only 50 cables. This means that if you’re going for a cleaner build, these cables must be routed and hidden from sight. A fully modular power supply gives you complete control over this factor. The main distinction that is noticeable between the semi and full modular PSU, however, is that you have a choice whether or not to use the 4/6/8 pin cables and the 24pin. In most builds, this function goes to waste. For your GPU and mobo, you will always use some 4/6/8 pins and a 24 pin. With fully modular PSUs, its extra functions are often completely wasted. A semi-modular PSU offers you most of the advantages that you’d want. True, you may need to route a couple of cables, but you won’t have the non-modular mess, and you won’t have to pay the premium for a fully modular. Still curious about the differences between a semi and fully modular PSU? Check out this video to learn more. The efficiency rating of a power supply matters because units made with higher-efficiency also tend to be made with better components, generating less heat and wasting less power. This all contributes to a quieter gaming experience which most users value. A PSU that has an efficiency rating of at least 80 percent offers 80 percent of the wattage it’s been rated as power for your gaming system, as the remaining 20 percent is lost as heat. Make sure you purchase a unit that has the previously mentioned 80 PLUS certification. Although the process for certification isn’t extremely stringent, these units must be efficient by at least 80 percent. As mentioned, 80 PLUS has the Gold, Silver, and Bronze tiers for more efficient units, along with the Titanium and Platinum certifications. PSUs that have a higher tier are usually much more expensive, however. If you’re the average gamer with average gaming needs, you’ll be fine sticking with 80 PLUS Bronze or just 80 PLUS, unless you come across a great deal on a Gold or Silver option. Choose a Reputable Source: Your first priority should be choosing a reputable source to buy your PSU from, reading reviews before making a purchase. Stay away from generic, cheap power supplies as these will usually be substandard. Support and Warranties: Stick with brands that offer support and solid warranties, such as Corsair and Seasonic. These manufacturers have built up solid reputations for providing high-quality PSUs, so do your homework. Select a Heavier Unit: Heavier, larger units will almost always be better than lightweight machines. Higher-quality PSUs nearly always have better, bigger chokes, capacitors, and other inner-workings.For this reason, they often come along with bigger heat sinks for better dissipation of heat, which leads to more weight. Bigger fans, which produce less noise and move air better, are preferable, as well. The 6+2 Pin Connector: In addition, you should look at the connectors on the PSU to make sure it works with your current system setup. The concept of 20+4 pin means a connector that works as both a 24-pin or 20-pin connector. With a 6+2 pin connector, you may snap the two pins in it off or on as needed. Most consumer PCs will have ordinary ATX PSUs. Units that are smaller in size, along with units made for server applications and enterprise, are an option, but when it comes to common desktop setups, ATX PSUs are it. How Much Power Does a Gaming Computer Use? The majority of mid-range PCs for gaming can use just 450 to 600-watt power supplies. This depends on the GPU, of course, and many of them land in the range of 500 to 550 watts. Gaming, as stated earlier in the article, is among the most common and popular PC applications, and also one of the most energy consuming activities. About a billion people across the world use their computer systems for gaming. Overall, the energy bill for these computers costs about $10 billion every single year. By the year 2020, gaming computers could make up 10 percent of the base of users. Put simply, gaming PCs are the souped-up laptops and desktops used by gaming enthusiasts everywhere and makeup just over 2 percent of the entire base of users, while taking up 20 percent of the energy consumed by gaming consoles, desktops, and laptops. To learn more about the energy consumption of gaming PCs, read this article. What Wattage Power Supply is Right for My Gaming Computer? If you are trying not to overclock on your system, a quality power supply with 450 watts is ideal, even if some overclocking occurs. If you do plan to do a lot of overclocking, you should go for a 550-watt unit. 80 PLUS is a trademarked term that is meant to promote the efficient use of energy in newer PSUs. This voluntary program of certification has become a standard that consumers look to when making a purchase on new power supplies. 80 PLUS certified PSUs will waste 20 percent less energy as heat when it comes to specific load levels. This reduces the use of electricity and cost of bills as compared with PSUs that are less efficient. Efficiency is often overlooked in terms of PSU specifications. It states the level of power being wasted as you use the power supply, but the issue is that you’re paying when this power gets wasted. This certification allows you to know which PSUs can present at least an 80 percent efficiency, as implied by the name. As more manufacturers attempt to design PSUs with efficiency over 80 percent, new categories of certification became necessary. These are Bronze, Silver, and Gold. What Does “Modular Power Supply” Mean? A modular power supply refers to a newer approach to the process of cabling which allows users to get rid of unnecessary and unused cables. The more conventional design has multiple cables connected permanently to the supply of power, while a modular power supply has connectors at the end of the power supply, letting the unused cables to detach. This leads to a less airflow interference and an uncluttered, neater appearance. This also allows the power supply to host a larger variety of types of cables, giving differing lengths of Serial ATA connectors, rather than Molex connectors. It can be hard to evaluate your necessity for a 600w, 750w, or 1000w power supply based on the PSU alone. It helps to know which components you will be using with your computer, particularly specific model and number of the graphics cards. PSU model and brand matter since not all PSUs are created the same. That being said, you can’t go wrong choosing the Seasonic 650W 80 PLUS Titanium ATX12V Power Supply with Active PFC F3 (SSR-650TD). This offers the most efficient gaming experience possible and can extend your unit’s life and improve your gaming skills. This model offers a low ripple noise of 20 mc and a long hold-up time of 30 MS. If offers clean power with micro-tolerance technology, which has supreme load regulation and ensures that only clean power is being put out. But a really noteworthy feature of this unit is its connection, which is cable-free. That’s hard to find. Hooking up your power supply shouldn’t be a headache or a struggle, so a cable-free hookup gives you the convenience and efficiency you’re looking for. The long hold-up time on this machine means that if any issues come up with the AC power input, there will be a buffer to store essential information and prevent system instabilities. Power shortages happen, so this protection is crucial. For all of these reasons, the Seasonic 650W 80 PLUS Titanium ATX12V Power Supply with Active PFC F3 (SSR-650TD) is the clear winner of the roundup. Please comment if you have any additional recommendations or thoughts to add!